New poll shows Likud party receiving 28 Knesset seats, while second-largest party Yesh Atid receives 24. 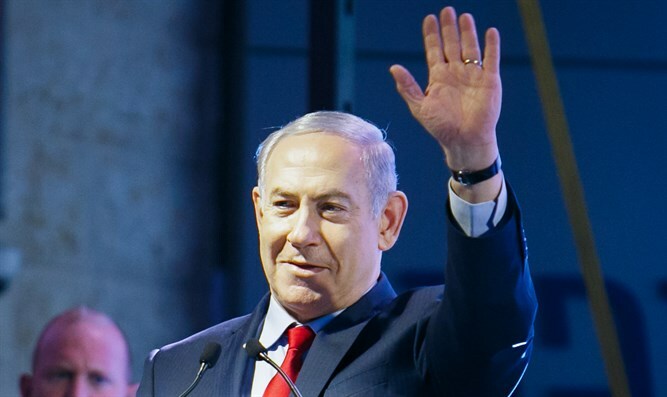 A new poll conducted for Channel 2's "Meet the Israeli Press" program and published on Saturday night shows the Likud retaining its current position as the largest party. According to the poll, which was conducted by Dr. Mina Tzemach and Meno Geva of the Midgam Institute via "iPanel," if elections were held today, the Likud party would win 28 Knesset seats. Yesh Atid would become the second-largest party, with 24 seats. Meanwhile, the Zionist Union party led by Avi Gabbay would receive 15 seats, making it the third-largest, with the Joint Arab List coming in just behind with 12 seats. The Jewish Home party would receive 9 Knesset seats, representing a rise from its current eight, but a fall in comparison to recent polls. Finance Minister Moshe Kahlon's Kulanu party would drop from its current ten seats to seven seats. At the same time, Defense Minister Avigdor Liberman's Yisrael Beytenu party would rise from five Knesset seats to seven. The Ashkenazic-haredi UTJ party would receive 7 Knesset seats, while the Sephardic-haredi Shas party would receive five. The left-wing Meretz party, led by MK Zehava Galon, would receive six Knesset seats. Earlier this week, a poll conducted by Channel 10 News gave Likud 27 seats and Yesh Atid 23 seats. Another recent poll showed Likud as receiving 34 seats while Yesh Atid received 20. In that poll, the Shas party was shown as failing to pass the electoral threshold.